With tvOS 10.2 and Apple TV management from Jamf, organizations have more Apple TV deployment power at their fingertips than was ever possible before. With Jamf Pro and the cost of an Apple TV ($149), any organization can deploy a modern conference room experience, engaging digital signage and collaborative learning environment. 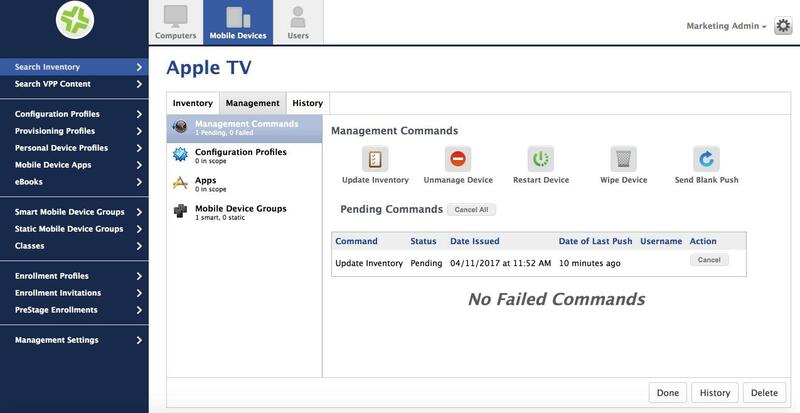 During our webinar, Introducing: Centralized Apple TV Management, we received hundreds of questions about how to manage Apple TV. Have no fear! We interviewed two of our product experts, Michael Devins and Mark Buffington, to demystify this streamlined technology tool for you and got answers to your most pressing Apple TV deployment questions. What can I do with 2nd, 3rd, and 4th generation Apple TV devices? Are there other ways to enroll Apple TV besides Apple’s Device Enrollment Program (DEP)? Second, 3rd and 4th generation tvOS devices can be enrolled via Apple Configurator 2. Organizations without DEP or those interested in managing 3rd generation tvOS devices can reference the Jamf Knowledge Base article Enrolling Apple TV Devices with Apple Configurator on Jamf Nation. Update Inventory, Send Blank Push, and Unmanage Device are also available for earlier devices. Jamf Pro can distribute custom in-house (enterprise) tvOS apps. The app experience is completely customizable and takes over the entire display experience. Whether organizations develop their own apps in-house, convert an iOS app for tvOS use, or partner with a digital signage solution provider, the sky is the limit when it comes to creating a unique and customized display experience on Apple TV. Can you set background image, screen saver and sleep settings? Conference Display Mode images and system screensaver settings cannot currently be defined over the air with tvOS 10.2, but can be manually set before locking the device in Conference Display Mode. However, if Single App Mode is enabled (most commonly for an in-house tvOS app), you can prevent the Apple TV from going to sleep by disabling Auto-Lock in the Single App Mode configuration profile. We’d be happy to! Check out our Apple TV Management overview video for a step-by-step look at Apple TV management. 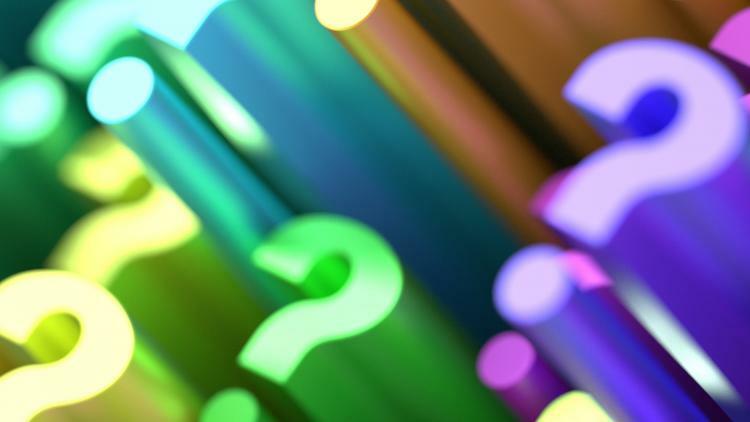 If you have any questions about the steps, contact us for a walk-through. Got Windows? No problem. While AirPlay is built into all Apple devices, the experience doesn’t have to stop there. After all, most conference rooms are likely to serve users with multiple platforms, including Windows and Chromebooks. That’s where solutions like AirParrot 2 can be helpful. With this software installed on a system, content can be streamed wirelessly to Apple TV similar to the AirPlay experience. How do you find out the Bundle ID for a purchased app for Single App Mode­? tvOS 10.2 currently supports deploying in-house apps only. The Bundle ID for in-house apps is available from the app record. tvOS system apps are available in Jamf Pro from the drop-down in the Single App Mode configuration profile payload for tvOS. Can the DEP enrollment of an Apple TV be authenticated via LDAP? Yes, similar to iOS, users can be prompted to sign in with company login credentials during the tvOS Setup Assistant, allowing a user to be associated to the device and managed configurations to be customized for the user who signed in. Jamf Pro can deploy in-house apps and does support AppConfig for tvOS apps, which means that Jamf can define settings for any apps that support AppConfig. These options do not apply to Plex, since it is only available from the consumer App Store at this time. Apple added a new MDM command in tvOS 10.2 to remotely restart an Apple TV. Apple TV does not support the shutdown MDM command that was recently added for iOS. Scheduling of restarts is not a built-in feature, but can be accomplished by programmatically interfacing with the Jamf Pro API. What version of Jamf Pro is needed to use the new Apple TV Management features? To take advantage of the new centralized Apple TV management features available for tvOS 10.2, Jamf Pro version 9.98 or higher is needed. Older versions of Jamf Pro can be used for basic management of 2nd and 3rd generation Apple TV devices. In Jamf Pro, where do I manage my Apple TV devices? Apple TV management shares many configuration profiles, MDM commands and DEP settings with iOS devices. As such, it can be found in the same mobile devices tab. Apple TV devices can connect to networks using PEAP with MSCHAPv2 and users cannot directly authenticate on the Apple TV. The username and password can be delivered via a Jamf Pro configuration profile. Certificates delivered from a SCEP server can be used to authenticate, depending on how the authenticator server validates the “Subject Name” and “Subject Alternative Name” fields of the certificate. Jamf Pro allows for variables to insert username data within SCEP configuration profiles to accomplish this. The difference depends on your organization’s desired local storage capacity. You will want to evaluate how many apps and how much content you want to deploy to your Apple TV installation. Apple currently limits tvOS apps to a maximum size of 4GB and supports up to 20GB of additional on-demand resources. Like PB&J! 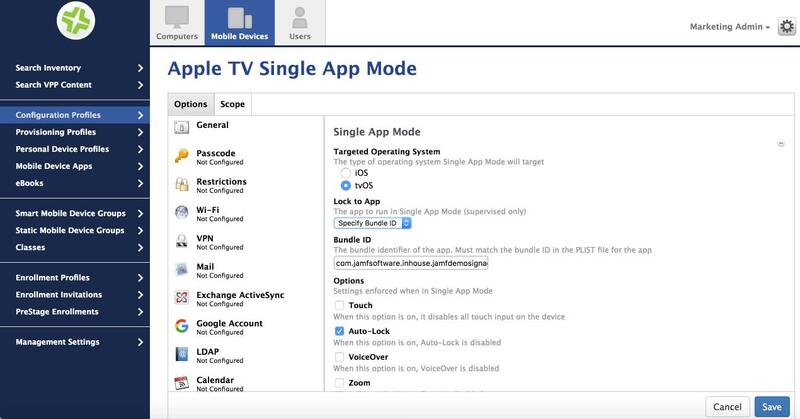 Organizations can deploy the Single App Mode configuration profile to specify which enterprise app should be launched or displayed on each Apple TV. Unless you deploy a restriction to disable AirPlay to that Apple TV, users will be able to use the Apple TV as an AirPlay destination. In order to set the device name, the Apple TV must be supervised. This can be done when enrolling the devices via Apple Configurator 2, in addition to being set during DEP enrollment (devices enrolled by DEP can also have device names assigned at the time of enrollment with pre-defined naming conventions.) Admins can also edit the General Inventory information and select “Enforce Mobile Device Name” to remotely name Apple TV devices manually. You can utilize the new AirPlay Permissions feature in Jamf Pro to automatically pair iOS devices with tvOS devices en masse. Simply define the matching criteria (i.e. Room) and Jamf will automatically generate the appropriate AirPlay permissions (and optionally, the AirPlay password if it’s specified) for all devices that match. This will ensure the best user experience by only displaying the paired Apple TV devices. If you deploy a Wi-Fi configuration profile during the automated set up process, you can unplug Ethernet and utilize Wi-Fi for network connection. Keep in mind that if a device is ever erased, it will not automatically re-enroll via DEP without an Ethernet connection. While Jamf Pro offers the ability to mass update iOS and macOS for one or more devices, Apple does not yet support remote command for managing tvOS updates at this time. Can you explain the setting to require a first time passcode on the Apple TV? Apple’s MDM protocol allows admins to require that all devices sending AirPlay requests to a device use a pairing password. Apple does not currently allow MDM to require a password for every AirPlay session. Visit apple.com/feedback or submit a radar for this feature request. Are configuration profiles available to remove unwanted apps from tvOS? There is currently no support for removing apps that were not installed by Jamf. Additionally, Home Screen Layout and App Usage Restrictions are not supported on tvOS at this time. What is the cost to manage Apple TV devices with Jamf? Apple TV device management pricing is the same as iOS management pricing. Visit jamf.com/pricing for more information or contact us to learn more. Ready to talk about how Jamf can help you get the most from your Apple TV devices? Request a demo or contact us to learn how your organization can streamline Apple TV deployment with Jamf.